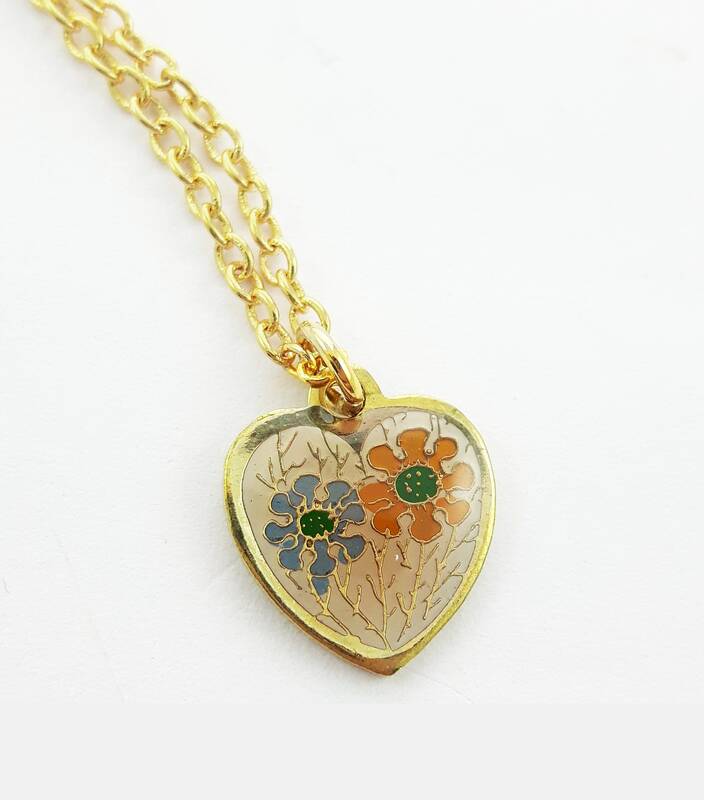 Floral Print Heart Charm Necklace. Made with Vintage 60s charm. Tiny Vintage Floral Heart Charm paired with new 18" chain. Never worn charm, New old stock. Dimensions: 11mm H x 10mm W.
Material: Gold, Brass, Enamel, Resin. 18” chain length with lobster claw closure.